Request engineer support and learn more about our repair, calibration or refurbishment services. Information about our support agreements, and upgrade packages for our latest technologies. We offer standard and bespoke training courses. Purchase or request a quote for genuine Renishaw parts 24/7. Discover more about Renishaw’s global support capabilities. Find supporting documentation for your Renishaw products. Manage your software licensing and discover more about software agreements. Manage your account or register your products. Latest company and product news. Images, video and text approved for use by media organisations. See live demonstrations of Renishaw's latest products at events around the world. Online channels designed to make our customers' lives easier. The latest news for investors. Select the types of news you would like to receive. Renishaw is a global company with core skills in measurement, motion control, spectroscopy and precision machining. Details of our business code, charities committee and our statement about modern slavery. Information for shareholders and prospective investors. News for the metalworking, metrology, toolmaking, automation and motion control industries. Learn more about working at Renishaw and view current vacancies. Submit requests and enquiries online. We have offices in 37 countries around the globe. Find the right office to meet your needs. 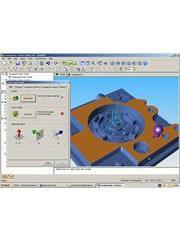 Information for suppliers, or potential suppliers, to Renishaw. A simple introduction to what is an encoder, its benefits and where they are used. © 2001-2019 Renishaw plc. All rights reserved.